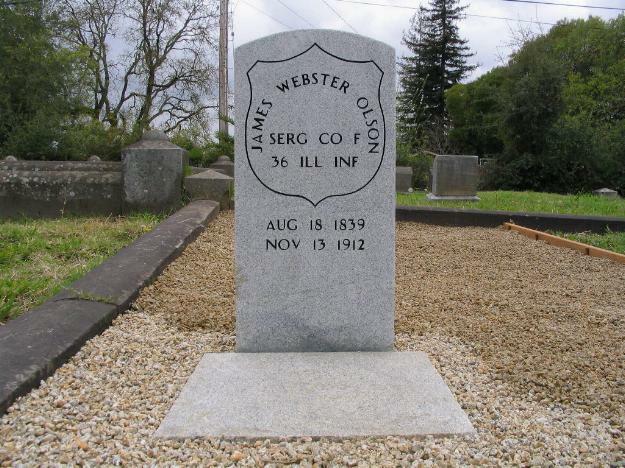 How did the son of a Slooper and the brother of one of the most famous Norwegian-Americans to serve in the Civil War, end up in an unmarked grave in Santa Rosa? James grew up in Illinois, under the wings of his two brothers, Porter and Soren. 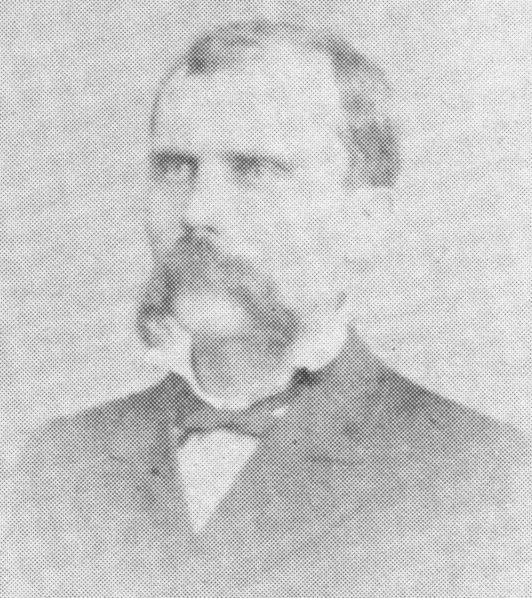 Porter was one of the first “Sons of Norway” to attend college, after which he taught school like his father had in Norway. When the Civil War broke out, Porter organized Norwegian Americans in the Fox River Valley into what became Company F of the 36th Illinois Volunteer Infantry Regiment. This regiment went through some of the most horrific battles of the Civil War. The regiment and Company F in particular suffered heavy casualties. Porter rose to command the regiment as Lt. Colonel. He died from a bullet to the chest after leading a charge at the Battle of Franklin, TN, late in 1864. Soren had died in an earlier battle when a mortar round took off his head. Of the three brothers, only James survived the Civil War. But he bore the mental and physical scars of the war the rest of his life. A doctor described him as “morose” and “irritable.” He had trouble keeping a job and moved many times before settling in Santa Rosa in 1889. 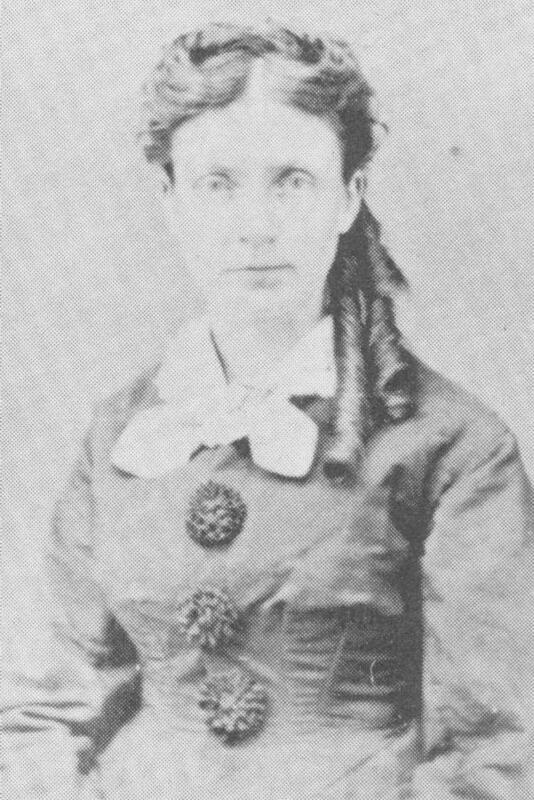 Shortly after the war, James married Susan Barrett Whitney in Illinois. Susan was part of the same old New England family that gave us Mt. Whitney and the cotton gin. Three of their four daughters came with them to Santa Rosa, the other died in Kansas at an early age. Daughter Pauline worked for Luther Burbank.1(see photos below) Daughter Edith married Edson Merritt, a prominent Santa Rosa businessman best known for making the Gravenstein apple famous. The third daughter, Geraldine, died in 1900 at the age of nineteen. She was the first of the family to be buried at Odd Fellows Cemetery in Santa Rosa. James finally seemed to find peace in Santa Rosa . 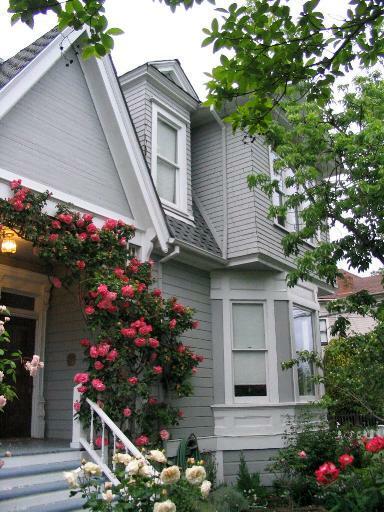 He was active in the Congregational Church but he mostly maintained a quiet existence in his home at 539 Benton Street. In the second decade of the 20th century his health declined and by June of 1912 he had difficulty signing his name. James’ heart, weakened by myocarditis, perhaps stemming from his Civil War experience, finally gave up on 13 November 1912. 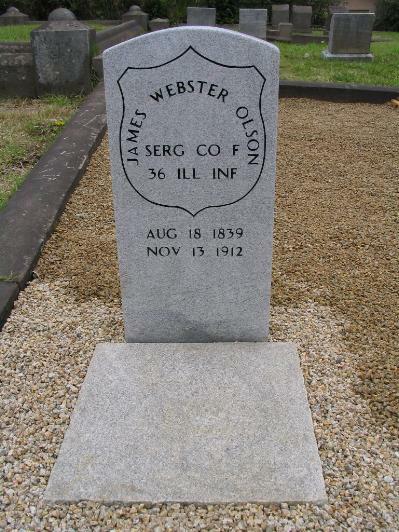 <<< Obituary: " J. W. Olson Passed Away; Well Known Man Answers Final Summons"
"Funeral of J. W. Olson; Remains Interred in Flower Lined Grave"
Perhaps James’ widow intended to honor her husband and herself with a monument at their grave, but she outlived her husband by almost thirty years. Edson Merritt died before her and there were few left in the family to attend to things like a monument after Susan died. 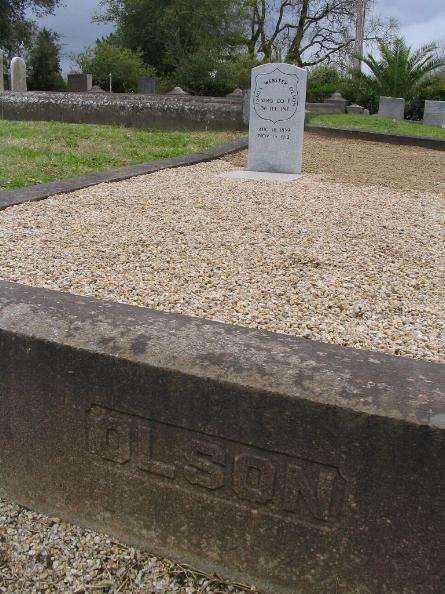 Though James, Susan, Geraldine and Pauline are buried together in the Olson plot, none are honored with a marker, except for that recently obtained for James. Whitney Porter Merritt, James’ grandson and his last direct descendant, died in 1986. Photo taken circa 1906 with the following persons, left to right: Marie Swanson, Luther Burbank, Pauline Olson. Photo is captioned "Under the Loquat Tree at Sebastopol." Photo, also ca. 1906, shows Pauline on the left holding flowers, Marie Swanson on the right, & Ella Wheeler Wilcox with large hat center. Photos provided by Ms. Rebecca Baker, volunteer Archivist-Historian, Luther Burbank Home and Gardens, Santa Rosa. Both photos came from an album with the title "Edna Burbank Hayes Wonder Book." According to Rebecca this album or scrapbook was created by a co-worker of Pauline in 1905-06. 1900 - 19 year old (daughter) Geraldine Olsen (sic). 1912 - 73 year old J. W. Olsen (sic). 1939 - 95 year old (wife) Susan W. Olson. 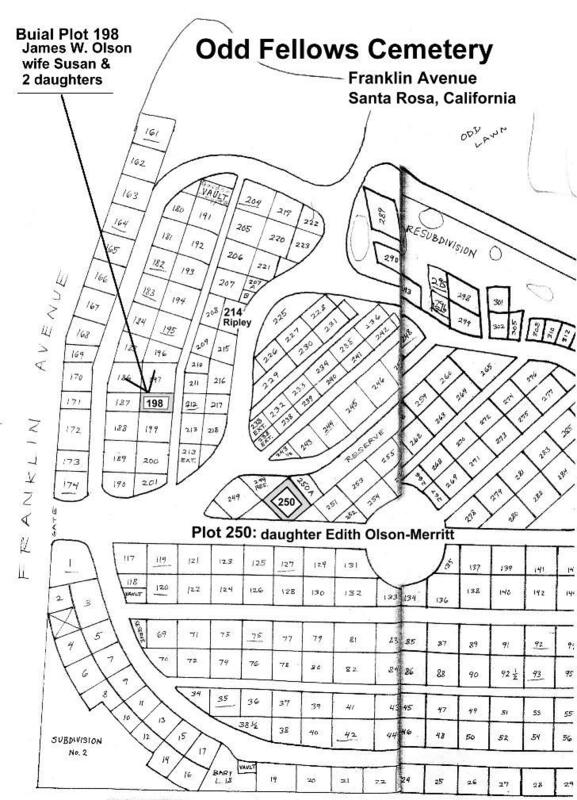 James Webster Olson's married daughter, Edith Olson-Merritt, is buried nearby in Plot 250. It is also interesting to note that Robert Ripley of "Ripley's Believe It or Not!" fame is also buried nearby in Plot 214. See linked Cemetery Map for these plot locations. See Wikipedia's Santa Rosa page for more information about this northern California town and other notables from this area. Photos taken after 30 Mar 06 landscaping.